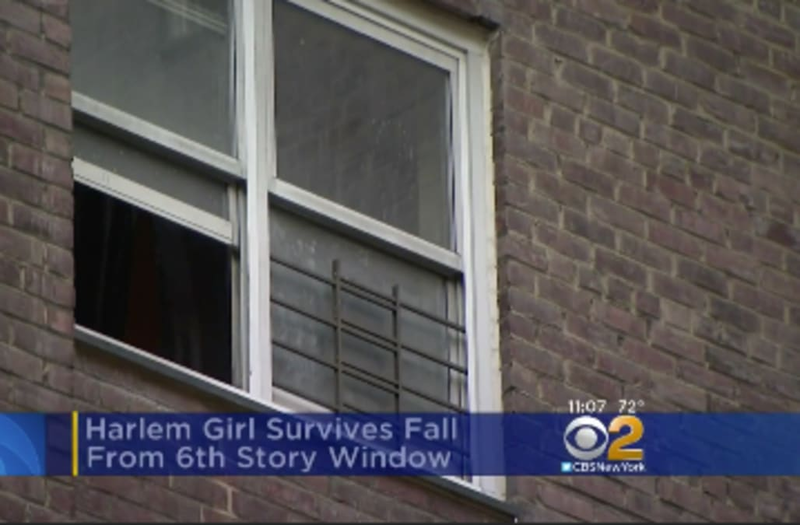 The 9-year-old girl was home alone about 5.30 p.m. at the Saint Nicholas Houses on W. 129th St. near Frederick Douglass Blvd., seated on a window-mounted air conditioning unit. “It was a big, loud boom. And the little girl was screaming ‘Somebody help me! Somebody help me!” said neighbor Malkia Wiggins. A man rushed upstairs to get her, said Latifa Shakour, 27.